Hi guys! Nazuna here! As you can already see, my topic for today is about the movie “Kamen Rider ~Heisei Generations Forever~”! Today’s topic will mainly be about this film and some of my reviews against this!! Are you ready? Okay then let’s go!! Heisei is the name of year in Japan! Heisei will come to an end in a hurry this year leaving only a few more months left! “Heisei Kamen Rider” (Kamen Riders from the Heisei era) has started with Kuuga leading it to other 20 fantastic works until this year and thus a culmination movie was decided combining all the Kamen Riders from the Heisei era named “Heisei Generation Forever”!! The film started on 12/22 last year and I had a chance to go see them 3 times!! The film was overwhelmingly outstanding and I’d like to give you a review of this film!! The Love for W is awesome!! Needless to say, the love for the W is awesome!! This is the most awesome part where the opponent, W, knocks down Utopia at the last struggle of 48 episodes of Kamen Rider W and if Philippe will disappear if he cancels the reply! This part!! This is the seen where I was talking about! Face divided into half where the Philippe side is laughing and the other Shotaro side is crying! After this, W is the key in the story where it plays a fairly important role. The way of being knocked down by Another W is also a point where we can feel the love and ED, W were directed differently! I believe it’s safe to say that the production side is a huge fan of W!! An finally, as it was announced in the preliminary announcement, there is a scene where the whole group of Kamen Riders group up and this is where the film gets really hot so I gotta say that it was absolutely AWESOME!! 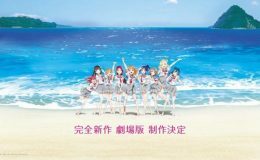 And for the guest, there was a scene where all of the audience will be surprised and say “WHAT” during the film. Yes, this was an absolute surprise!! And also this was one of the scene where it’ll just move your heart. In this part there were many sobbing sounds you could hear in the cinema. This scene also made me cry a bit…. 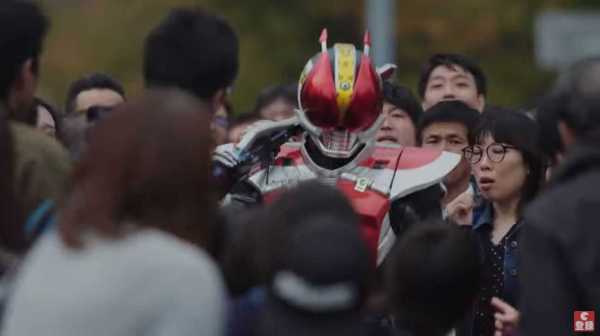 Moreover to say, as for this times catchphrase “For those who loved Kamen Rider”, this story is something special especially for those who’ve watched this series since they were kids. Especially this film makes you think and brings the answer towards if Kamen Rider is real or not and just a fictional story. Please watch this with high expectations!!! You won’t regret it!! Sougo from Kamen Rider ZI-O encounters to the phenomenon where Gates and Tsukuyomoi loses their memory. Around the same time, the battle of Kamen Rider Build and Kamen Rider Close will meet the mysterious boy being chased by Another W.
Struggling while both fighter transforming into Another W, Gris and Rouge who isn’t even a Kamen Rider will appear!! Why have those two became a Kamen Rider?! The reason is because Ataru made a contract with an Imagine called Fu-taros! Ataru is a high school boy who goes to the same high school as Sougo. On the day Ataru was born, Shingo, the older brother of Ataru went missing. Hoping that someday Kamen Rider will come save Shingo, Ataru starts deny the existence of Kamen Rider while growing up. Then that was the time when Futaros appeared in front of Atari and Atari making a contract with Futaros wishing to see Kamen Rider. From that wish appeared was Kamen Rider Gris and Kamen Rider Rouge from the wold without Skywall tragedy. And eventually the rewrite of the history has just started leaving the fact that Kamen Riders disappearing. As their appearance starts to fade out, the city is under attack by the monsters created by Teid. However, still, Riders are not capable of using their powers. 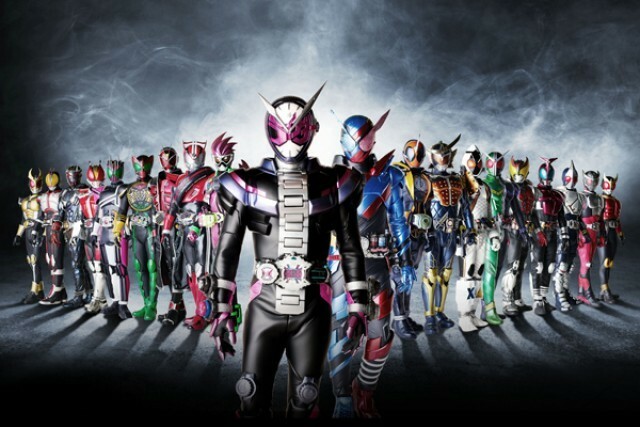 Kamen Rider may be a fictional story, however, as long as people don’t forget them, they’ll always exists in our memory. 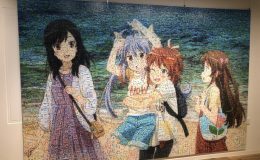 It’s genuine in the time of memory. As Atari remembers that Kamen Rider actually exists, Atari is sure of the existence of Kamen Rider. As the city is in chaos, destroyed by the monsters, everybody starts to call their Kamen Rider in their hearts from their memories. And there appeared 20 Kamen Riders starting with Kuga, the first Kamen Rider in Heisei era! This is going to be a spoiler so be prepared!! First of all, Ken Sato from “Denou” is coming!! And not only the owner of Day Liner but also others like Momotaros, Kintaros, Ryutaros and other imagines will appear as well! And I bet there isn’t any Kamen Rider Otaku who wouldn’t cry at the scene where Momotaros comments to Ryotaro! Another great point about this film was when Rider Agito, Ryuki, Ghost and Decade came out with a brand new voice!! That was something that I’ll never forget in this film!! Not only that but it was also awesome where Oz accessed the world library to “start searching”!! I’ve always though that that’s just like Phillip but accessing the world library is just something else!! Well anyways, the theme of this film “Kamen Rider exists in your memories” was just legit awesome. 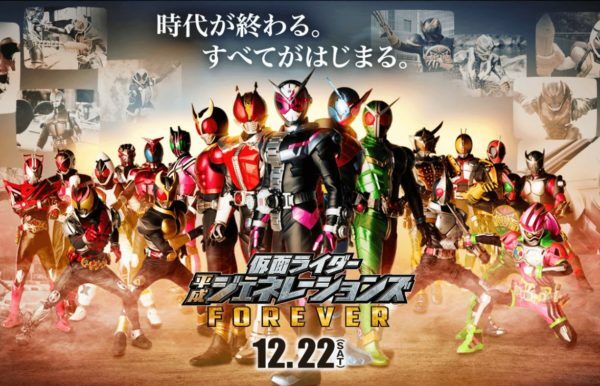 This made me thought that Kamen Riders will alway be in my heart no matter if they were in the past, present or the future…..They will always be in my heart!! I didn’t thought that as a viewer of this film, the theme was just chucked right to me making me think throughout the whole entire film, and just not only that but the details were needless to say, really good. This film is something that you’ll love the more you’re a fan of Kamen Rider and I can guarantee you that!! Well, Heisei era is just about to end but Heisei Kamen Rider will never end!! Maybe the film isn’t out yet in overseas but if you have any slight chance, I’d suggest you watch this at any cost!! That much I love this movie!! 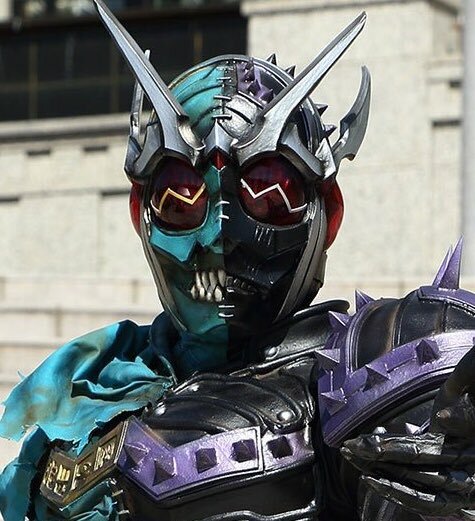 I’d like to introduce some other Kamen Rider info if possible so if you’re a fan of it, then stay tuned for more information!! Thanks for reading my overview and I’ll see you on my next article! !